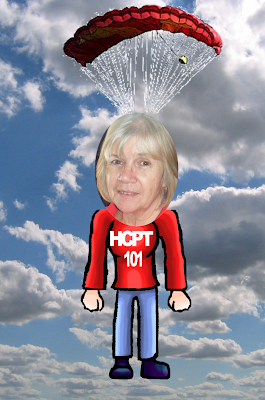 HCPT 101: Parachute jump for 101! On 2nd July, Group 101 helper Lilian Hollidge is bravely jumping out of an aeroplane and doing a parachute jump to raise money for HCPT Group 101 and for Cancer Research. Please sponsor her! Contact Lilian, email us at hcpt101@gmail.com, or phone Group leaders Phil and Marge on 01302 868816 for details of how to sponsor.